5c Coat of Arms Railroad Postal Service Yellowish Wove Paper Postal Stationery Envelope. 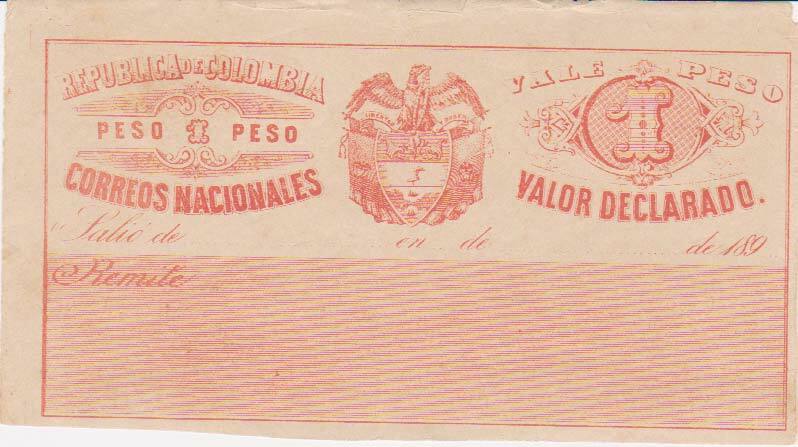 10c Numeral of Value Cubiertas Gummed Label for Insured Letters. 20c Numeral of Value Cubiertas Gummed Label for Insured Letters. Unused with creases at right. 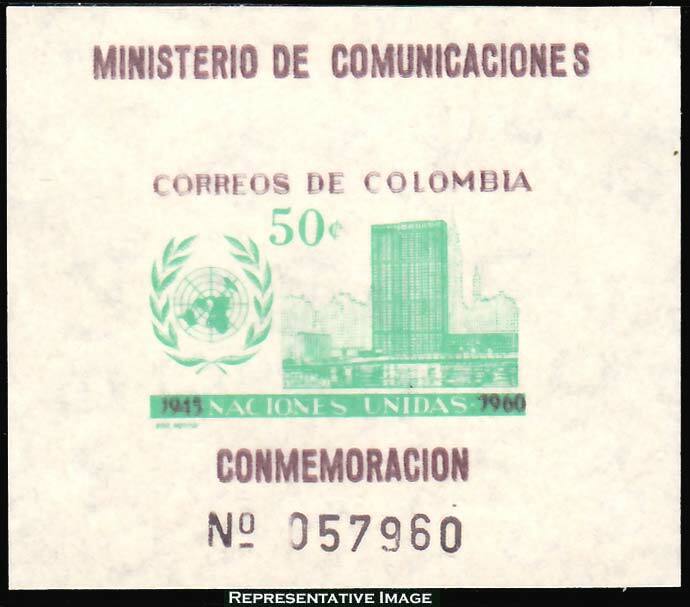 60c Numeral of Value Cubiertas Gummed Label for Insured Letters. Uunused with crease and thin spot. 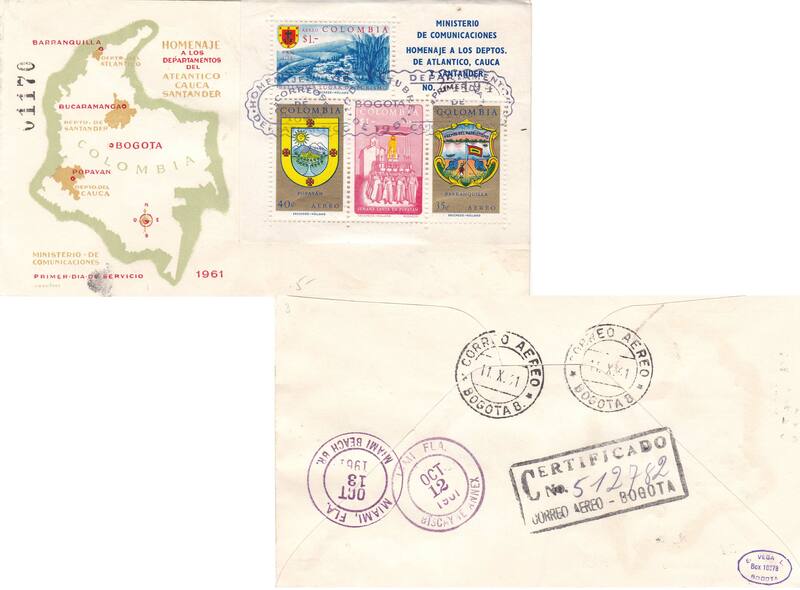 80c Numeral of Value Cubiertas Gummed Label for Insured Letters wiht Cartagena postmark. Used canceled to order with crease and some edge wear at left. 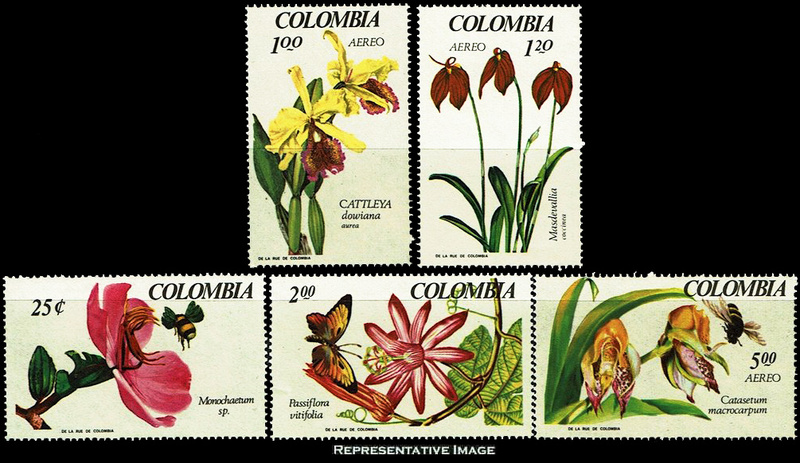 1p Numeral of Value Cubiertas Gummed Label for Insured Letters. Unused with some edge wear. 30c Numeral of Value Cubiertas Gummed Label for Insured Letters. 40c Numeral of Value Cubiertas Gummed Label for Insured Letters.